The Taj Mahal became the fifth stakes winner from as many runners for his dam You'resothrilling with an authoritative display to trounce his rivals in the Group 2 Zipping Classic at Sandown on Saturday. The three-year-old son of Galileo had previously been trained by Aidan O'Brien to win at Dundalk as a juvenile before finishing runner-up to Oscar Performance in the Grade 1 Secretariat Stakes at Arlington in August, though he had not yet won a stakes race. He travelled to Australia as part of O'Brien's raiding party for this year's Cox Plate but did not contest the race, running instead in the Ladbrokes and Emirates Stakes. The colt has since transferred to the stable of Robert Hickmott but will now be trained by Liam Howley after owner Lloyd Williams announced earlier this week that Howley will take over from Hickmott as his head trainer. Bred by the You'resothrilling Syndicate, The Taj Mahal is the fourth foal out of the Group 2-winning Storm Cat mare You'resothrilling. The dam hit the headlines as a broodmare when her first foal, Marvellous, landed the Irish 1,000 Guineas in 2014. That achievement was swiftly followed by Gleneagles winning four times at the highest level including the 2,000 Guineas and Irish 2,000 Guineas in a stellar season at three. You'resothriling's third foal, Coolmore, did not win at the highest level but won the Group 3 Weld Park Stakes as well as finishing third in the Grade 1 Belmont Oaks. The family success hasn't stopped there as You'resothrilling's fourth foal, Happily, added the Prix Jean-Luc Lagadere to her win in the Moyglare Stud Stakes this year. 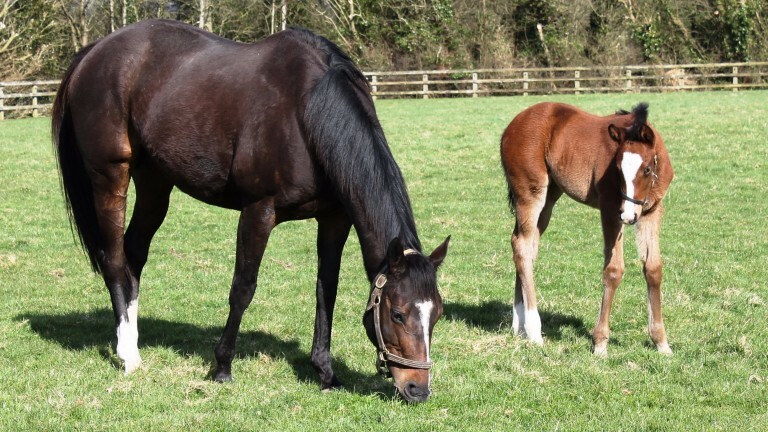 All of Cherry Hinton Stakes winner You'resothrilling's foals are by Coolmore's perennial champion sire Galileo. You'resothrilling was not covered in 2016 but has a colt foal by the son of Sadler's Wells and has been covered again by him this year. Galileo has been joined on the Coolmore roster by Gleneagles, whose first foals go under the hammer later this month. The 12-year-old has taken after her dam, the Rahy mare Mariah's Storm, who has produced a host of stakes performers including the 'iron horse' Giant's Causeway, a six-time top-level scorer, Butterflies, Hanky Panky, Roar Of The Tiger, Tumblebrutus and Tiger Dance. 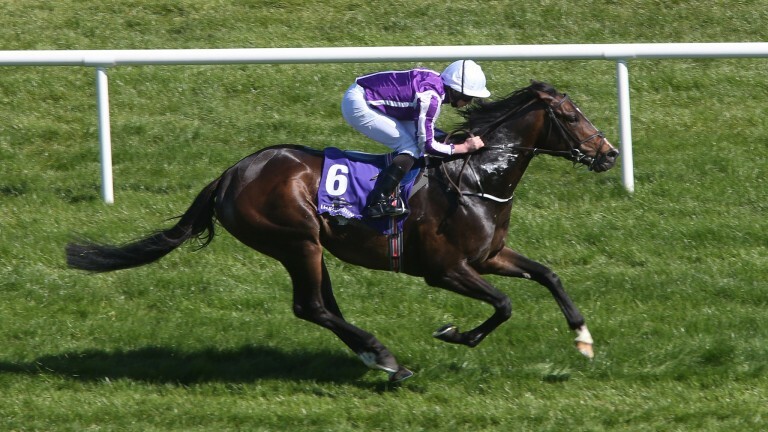 Mariah's Storm also produced Pearling, the dam of Irish Champion Stakes hero Decorated Knight, and Love Me Only, the dam of Irish Derby runner-up Storm The Stars. Both Decorated Knight and Storm The Stars will start their stallion careers next year, at the Irish National Stud and Haras du Lion respectively.